Today is October 14th. I know what you're thinking: it's only eleven months until Danny's next birthday! You'll probably start to see decorations in the stores pretty soon. I am mentioning this today, though, because I already know what I want for my birthday on 9/14/2012. I'm putting this out into the world super-early so that all of my readers can help me make it happen. I want a phone call from Fred Schneider, lead singer of the The B-52s, and I want him to sing Happy Birthday to me. 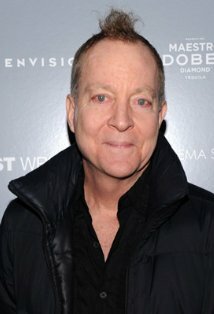 Again, I know what you're thinking: why Fred Schneider? Trust me, I've thought this through. Actually, my first impulse was to say that I want a phone call from Alison Brie. I soon realized, though, that I wouldn't really have anything to talk with her about, except maybe "Yore the purtiest lady on mah teevee set, and it makes me happy when the show whut yore in comes on..."
For real, though, she is the purtiest lady on mah teevee set. Look at her! But I'm sure she's not all that interested in being told that by some random older creep from the internet. I don't really have all that much more to talk about with Fred, and it's not like his life in rock and roll is anything at all like my life as an IT nerd. BUT... I did grow up listening to his music. I think he has a really great sense of humor. I could tell him that anytime I hear the songs "Roam" or "Follow Your Bliss," no matter how down I am, they make me happy. (Actually, the first one doesn't feature his vocals, and the second one is an instrumental, so maybe I'd better choose different songs...) But mostly, I think that he has one of the most unique, unmistakable voices in pop music, and I just think it would be awesome to hear that voice singing Happy Birthday for me. Plus, and I say this with all possible respect and love to Mr. Schneider, I know he's not as busy these days as he once was, so he would probably be able to pencil this into his schedule. This is where I need your help. Among my friends, I know that there are people with some connections into the entertainment business. Get the word out! Have your people call his people! If you are a friendly stranger who landed on my blog by Googling for information about the B-52s, or Alison Brie, or century eggs, and you happen to know somebody who knows somebody, help me out! I know it's silly, but I cannot stress enough to you just how much I want this. You have 11 months to make this happen. I have Fred on speed dial. We go way back. I would call him right now, but I'm still a little upset about your ranting after aTm trashed their own bus and tried to blame us. lol.....You may feel free to take all that down as I don't want to take away from your birthday column. I was just messing with you, of course. I don't know Fred, but I hope someone out there does! 1. I think if you go back and reread what I wrote, you will find that I never ranted. The people replying did plenty of it, but I kept my cool, if for no other reason than to tick them off more. 2. I will gladly admit that Byrne overstated the case, but I've lived in Lubbock, around TTU fans, for long enough that I really have no doubts about who messed with those buses. 3. I can bribe your daughters to get Fred's number off of your phone for me. I know, we're good. Unless I find out that you're holding out on me about Fred Schneider.